EARTHQUAKES. 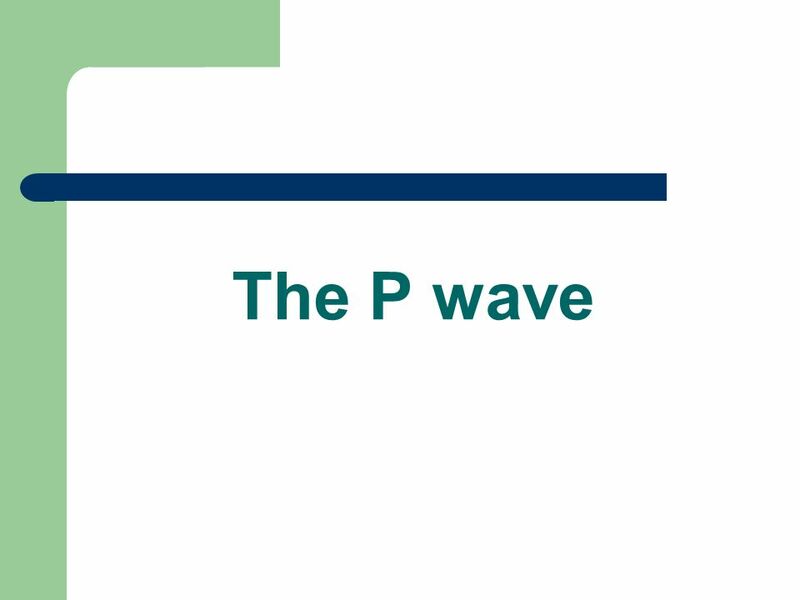 P WAVES Go through anything Primary waves Appears first Fast but weak. 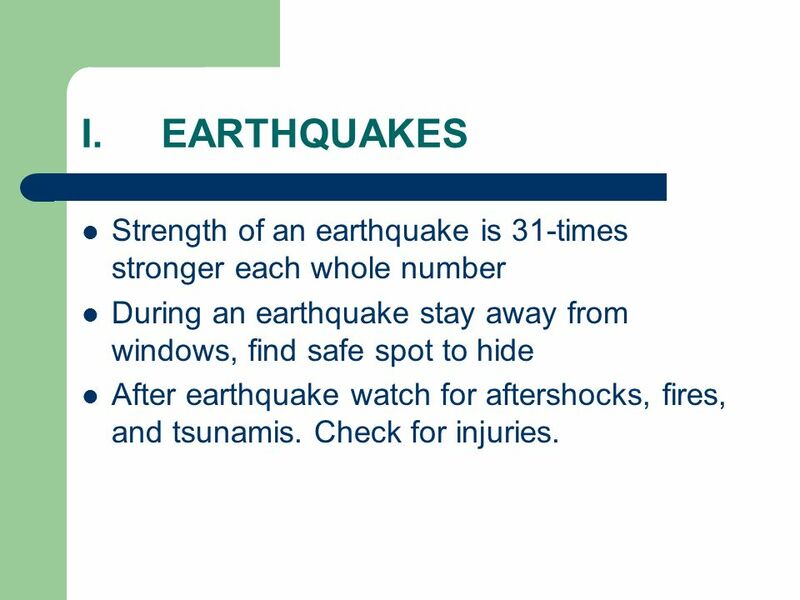 17 I.EARTHQUAKES Strength of an earthquake is 31-times stronger each whole number During an earthquake stay away from windows, find safe spot to hide After earthquake watch for aftershocks, fires, and tsunamis. Check for injuries. 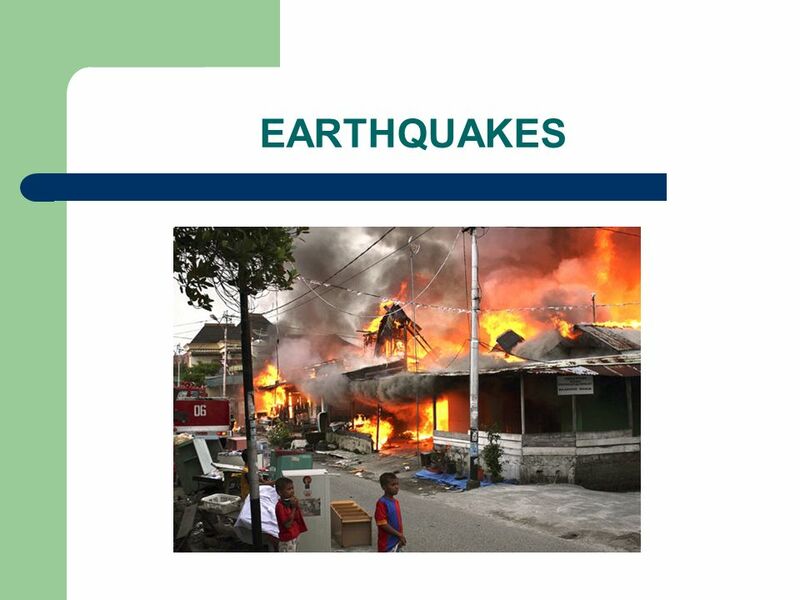 Download ppt "EARTHQUAKES. 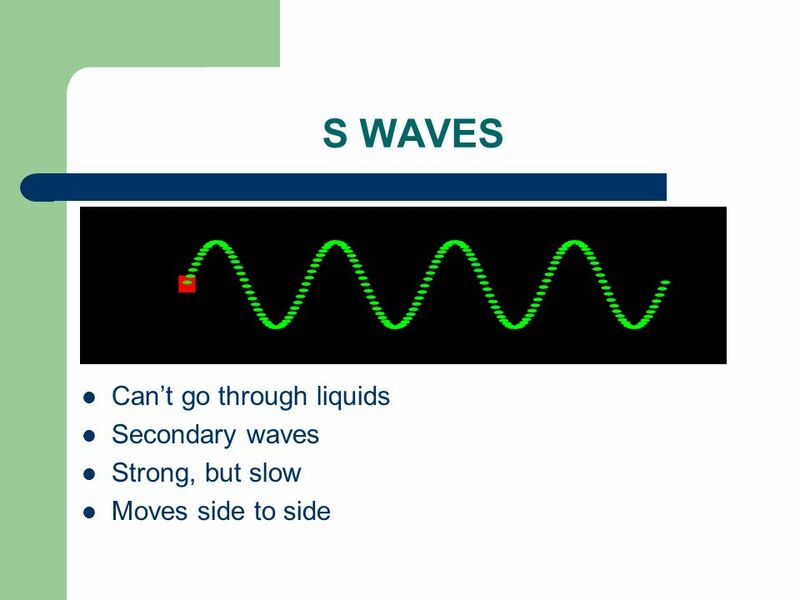 P WAVES Go through anything Primary waves Appears first Fast but weak." 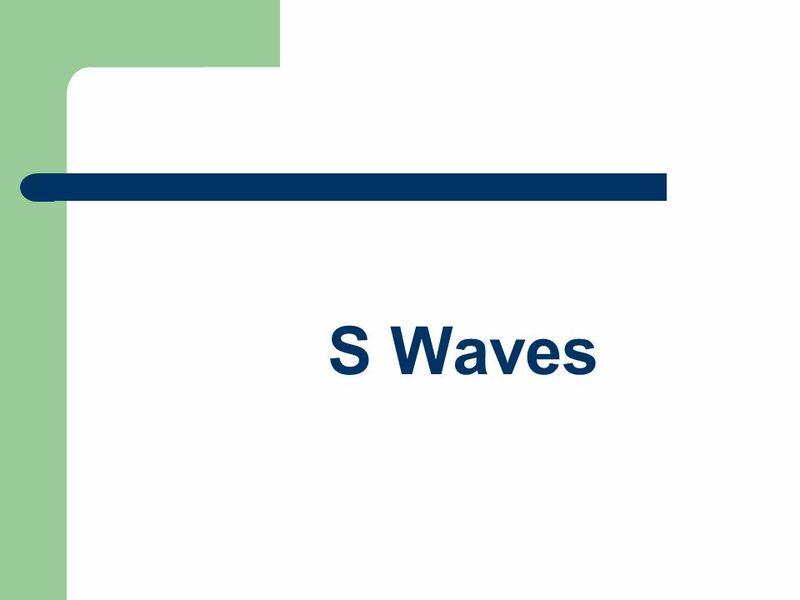 Earthquake Waves Chapter 6-2. 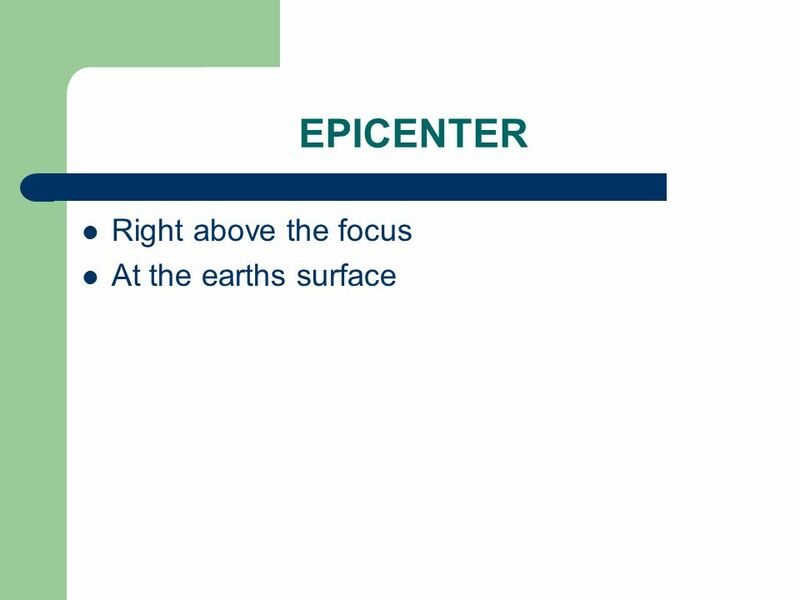 Focus and epicenter Actual location of fault Up to 700 km below surface. 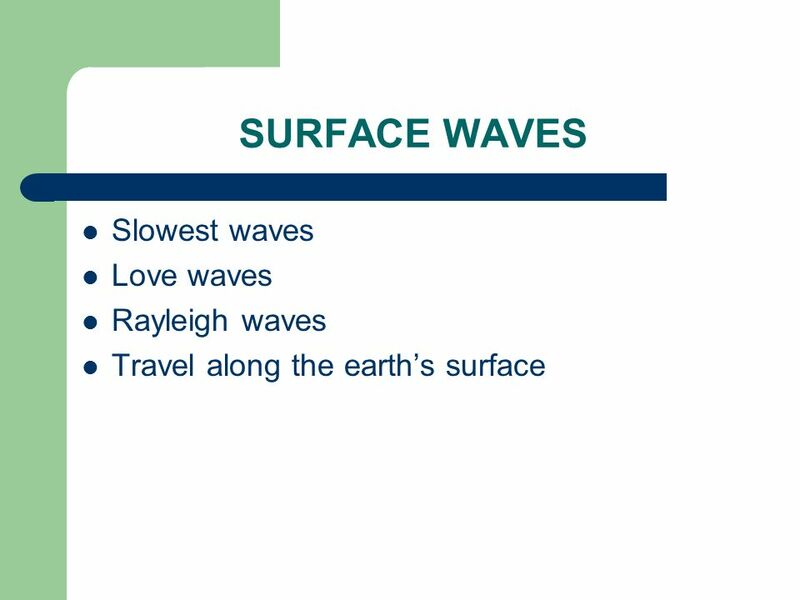 Earthquakes Seismic Waves in the Earth’s Crust. Earthquakes ► An earthquake is a series of seismic waves or tremors in the earth’s crust. ► They are caused. Size of earthquakes. 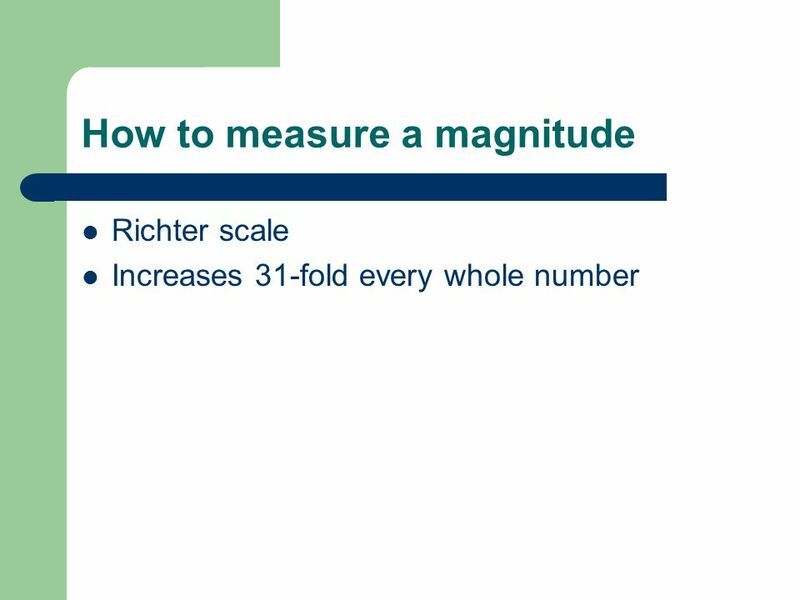 MODIFIED MERCALLI SCALE Defines the INTENSITY of an earthquake by the amount of damage caused. 4.2 Earthquakes & Seismic Waves. 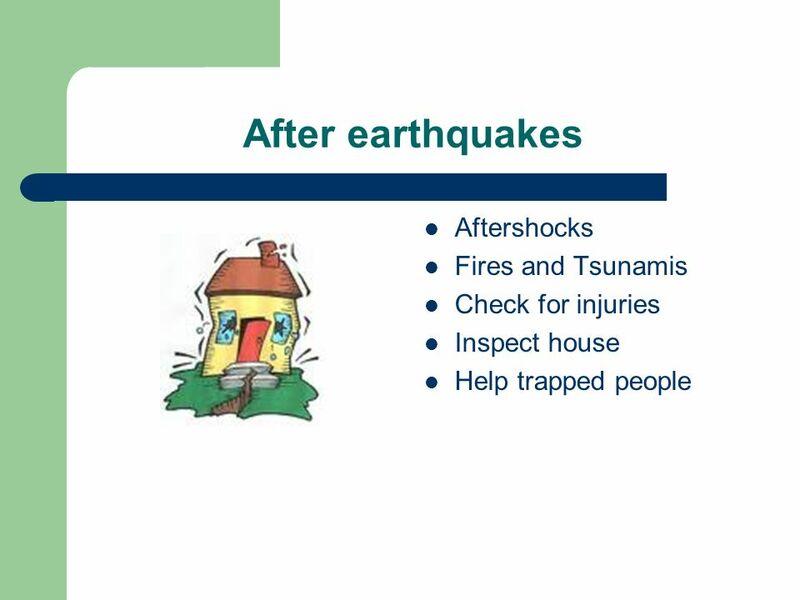 earthquakes - movements or shaking of the ground when rock (plates) move suddenly and release energy. 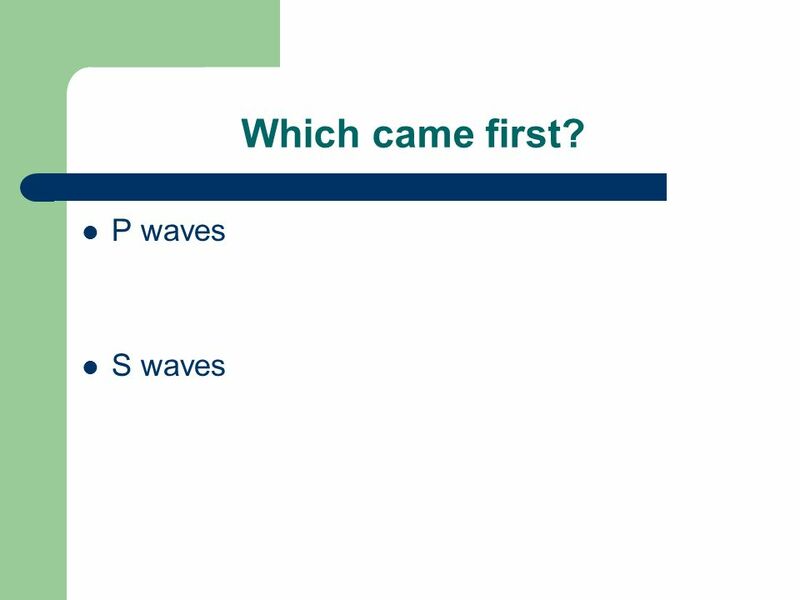 aftershock – a.
Earthquakes Earthquakes – series of shock waves traveling through the earth Elastic rebound – a movement (slippage) caused by rocks shifting to an unstressed. 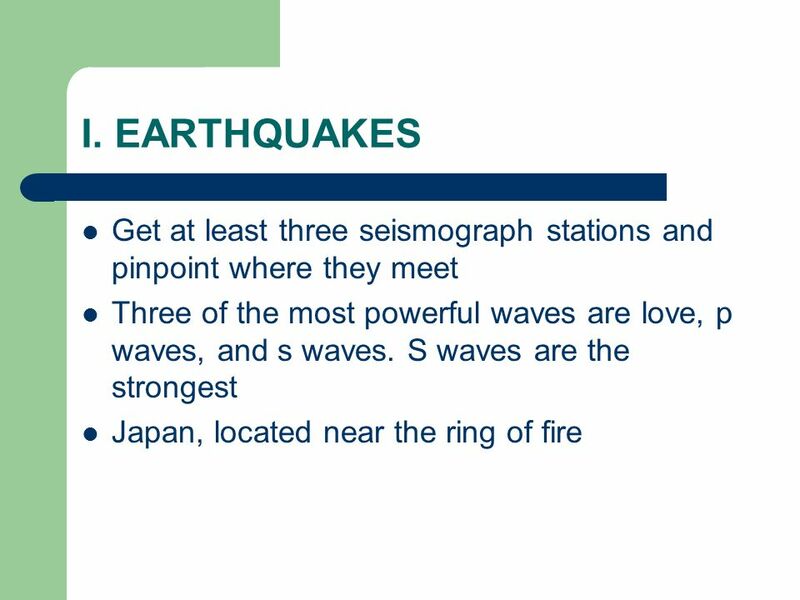 Earthquake Chapter 3 Lesson 4. 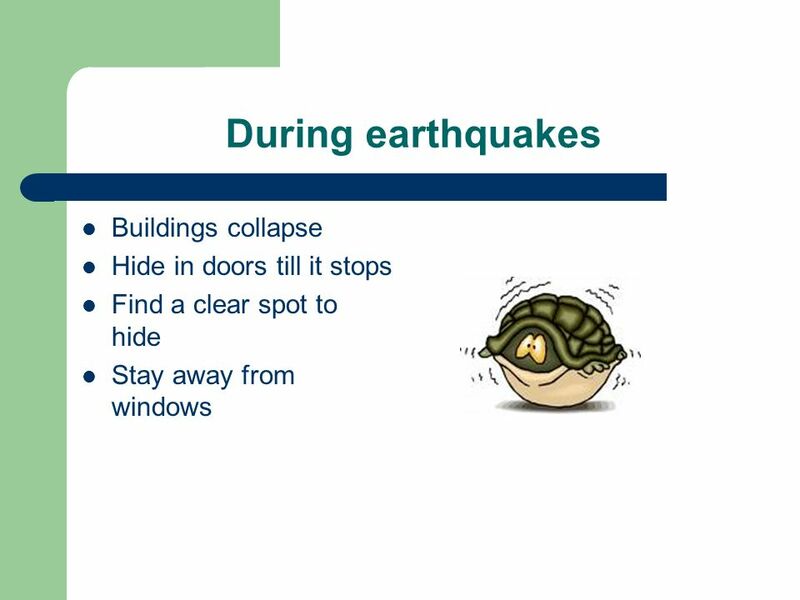 Earthquake An Earthquake is a sudden movement in the Earth’s crust. The rock on both sides of a fault is pushed and pulled. Dead - More than 3,000 A report of U.S. Army relief operations recorded: 498 deaths in San Francisco 64 deaths in Santa Rosa 102 deaths in and near San. Normal Fault Occurs at Divergent Boundaries. 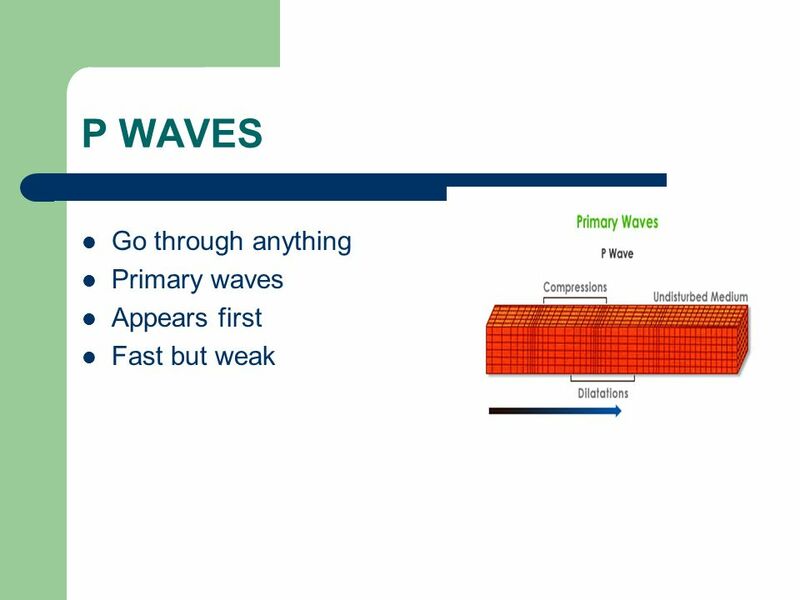 How do Earthquake waves Travel? Energy released from moving plates and faults travels through the Earth as. NOTES. 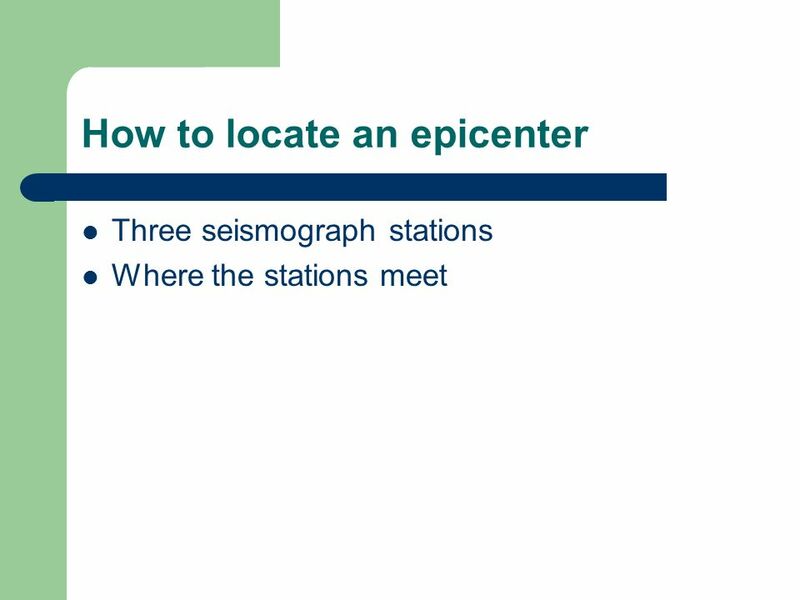 What are Earthquakes? 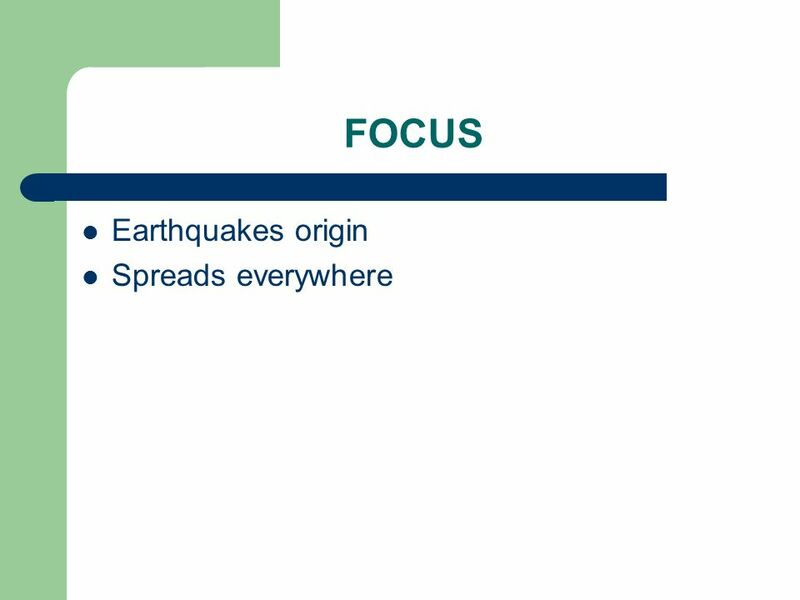 A vibration of Earth’s crust caused by a sudden release of energy Caused by faulting or breaking of rocks Aftershocks – continued. 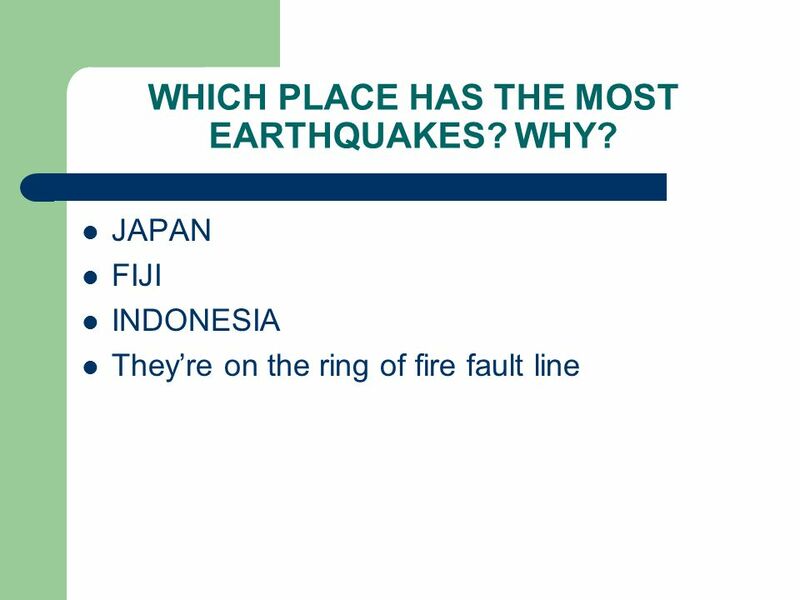 What causes an earthquake? 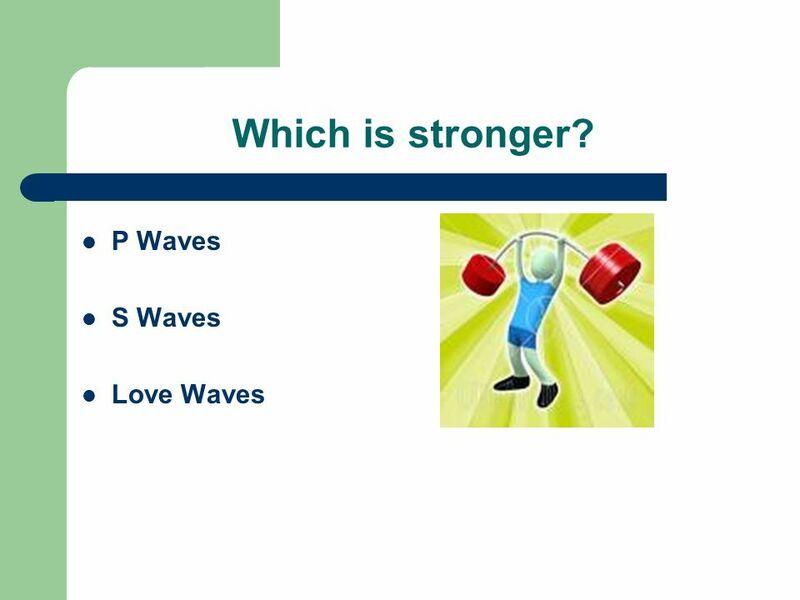  Deformation- the change in shape of rock in response to stress  Elastic Rebound- Return of rock to its original undeformed.